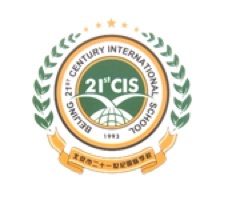 20 English Teacher positions are available, in Haidian District, Beijing. Start from May, 2018 to July, 2019. 10 for Primary School Homeroom Teachers(ESOL teachers，teach English and science). 6 for Middle School English Teachers. 4 for High School English Teachers and AP Subject Teachers (Math/Physics/Economics). 16000-25000RMB/Month before Tax (Due to education and working experience). Salary increase when renew the contract. Airport pickup and ticket reservation. English teaching and subject teaching positions require citizens of UK, USA, Australia, Canada, Ireland, New Zealand or South Africa for visa purposes. Bachelor’s degree or higher (Education preferred). Over 2 years’ working experience in education or ESL teaching. Foreign teachers from non-native countries need to obtain bachelor degrees which related to the majors of English education from native countries and meet the above conditions. Certificate of diploma, no crime record, TEFL certificate need to be authenticated by Chinese embassy. Responsible, outgoing, friendly, hardworking and easy to work with.